Caroline Louise Ransom Williams was born on February 24, 1872 in Toledo Ohio and attended Erie College and Mount Holyoke College, and was awarded an A.M. in classical archaeology and Egyptology at the University of Chicago. She then went to Berlin but completed her studies at the University of Chicago in 1905. Thereafter she taught at Bryn Mawr College. 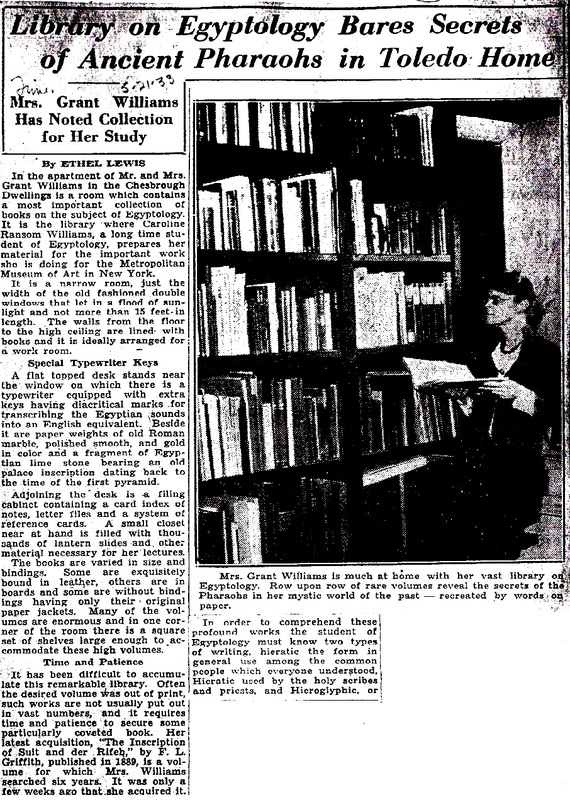 In 1910 she joined the Department of Egyptology at the Metropolitan Museum of Art where she co-authored The Handbook of the Egyptian Rooms. 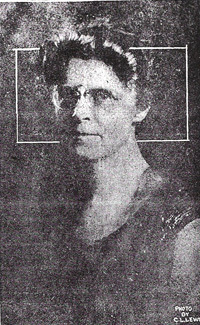 In 1916 she married Grant Williams. In 1932 she published Decorations of the Tomb of Per-Neb and at the same time she worked on the Egyptian holdings of the Cleveland Museum of Art and the Minneapolis Institute of Art, and she also became Honorary Curator of the Toledo Museum of Art. She cataloged thousands of Egyptian objects for The New York Historical Society (This later became the of the Brooklyn Museum). She joined the Epigraphic Survey in Luxor (Egypt) and worked at Medinet Habu, the Temple of Ramesses III and on the Coffin Texts at the Egyptian Museum in Cairo. During this time she also taught at the University of Michigan until she died on February 1, 1852.